I’ve always loved bread, but since going dairy-free, I really eat more bread than ever before. Finding a good store-bought dairy-free bread is nearly impossible. If you are avoiding soy and/or egg too, then you are really out of luck at the grocery store! 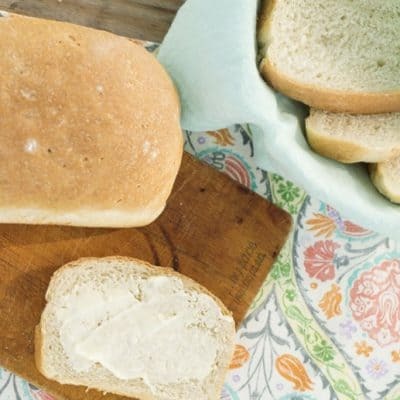 This is a great bread for many people with food sensitivities and allergies. It contains only one of the ‘big 8’ allergens- wheat.